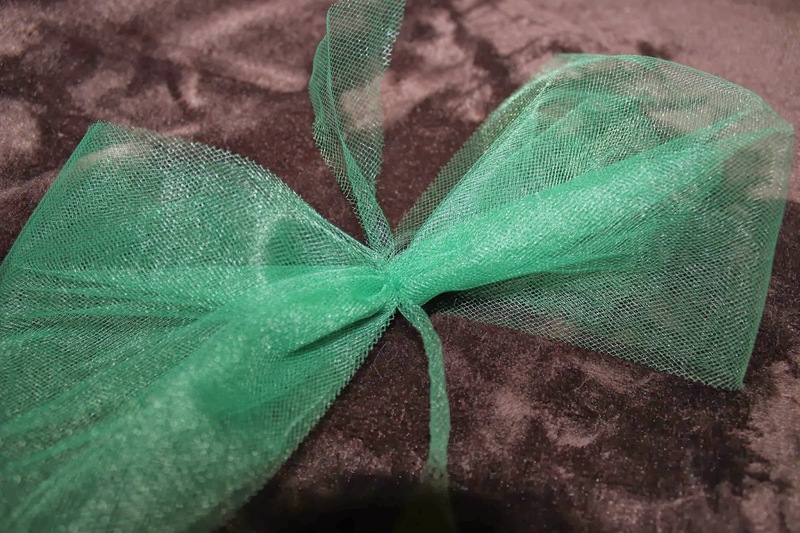 My day ten project was Tulle Bows. 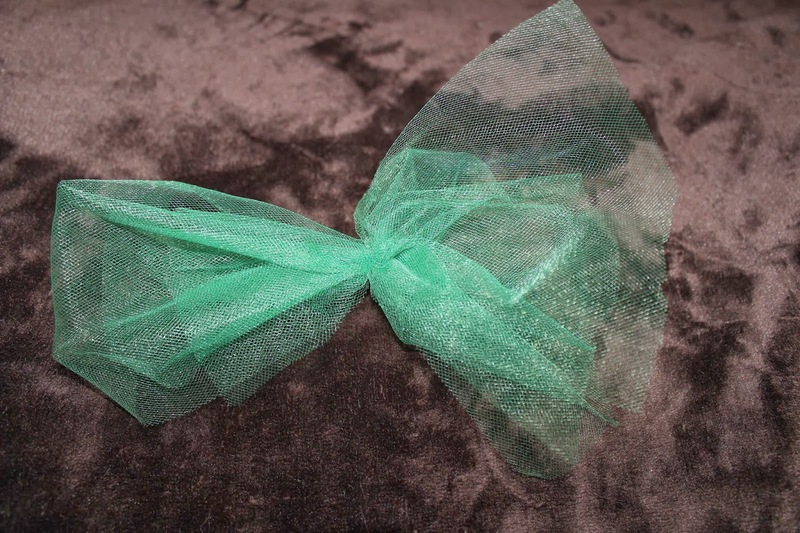 There were several great variations available from this pin by Miss Lovie Creations, but I chose to make just the fluffy bow to start. 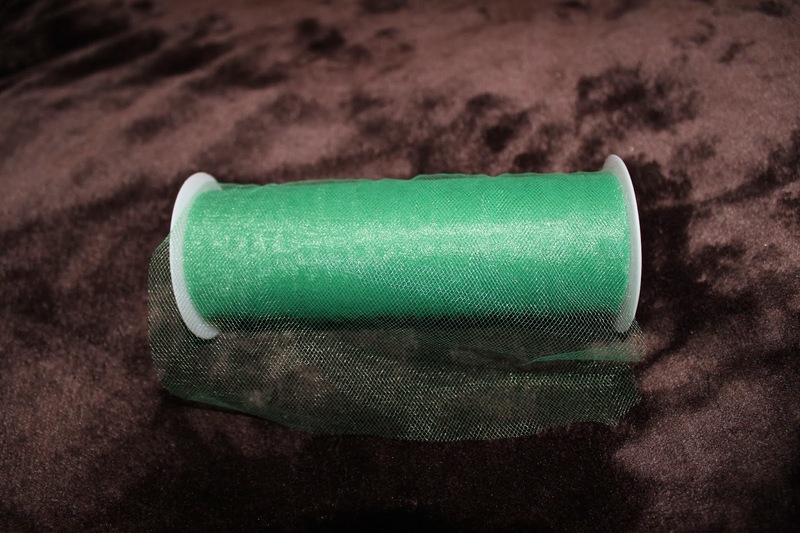 We had purchased a roll of green tulle last year and still had half of it left, but you use so little for these bows that a single roll can last you a long time. The tutorial suggested several loops, which I did, but originally made them too small to work with. After I lengthened them it only looped about three times. I’d suggest double for it to look better. Next you pinch the center where the ends are open, so the looped ends are on the outside. 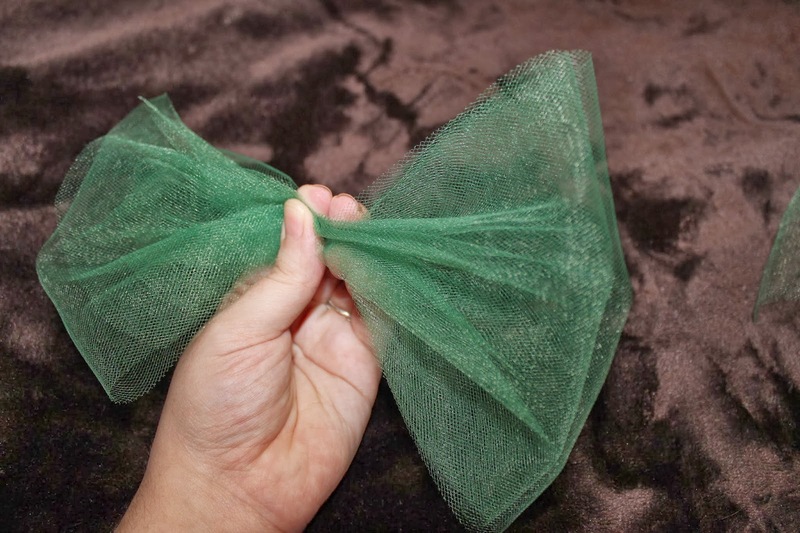 I recommend having something ready to tie the middle with before doing this (I just used a small strip of tulle). 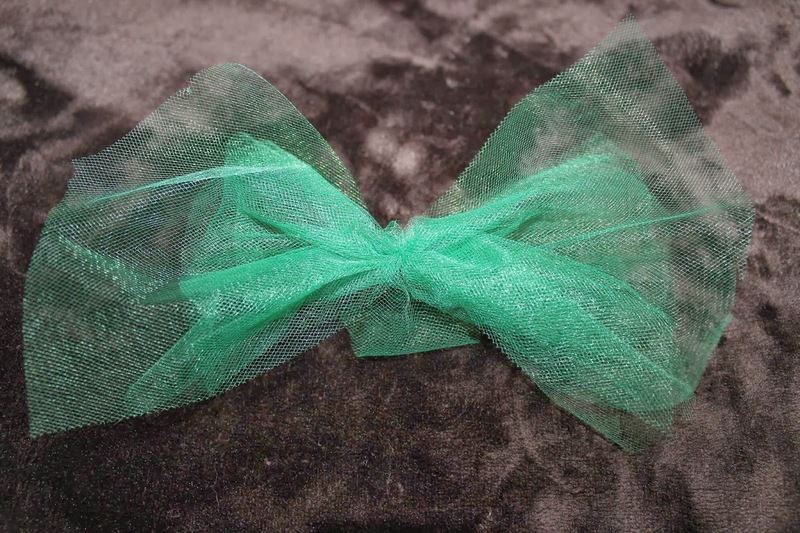 At this point you have a nice bow, but if you want a fluffy bow there’s a bit more to do. Gently cut open the looped ends, then trim some of the middle pieces to add more body. Spread out the pieces some and fluff! The picture below shows a still-looped end on the left, and a fluffed end on the right. With more loops the fluffed end will look a lot fuller than pictured! 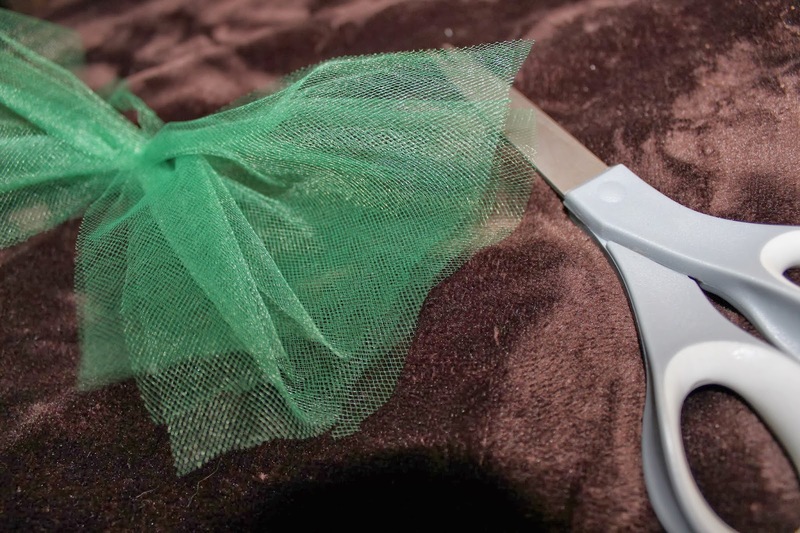 Once you finish both ends, you have a fluffy tulle bow! 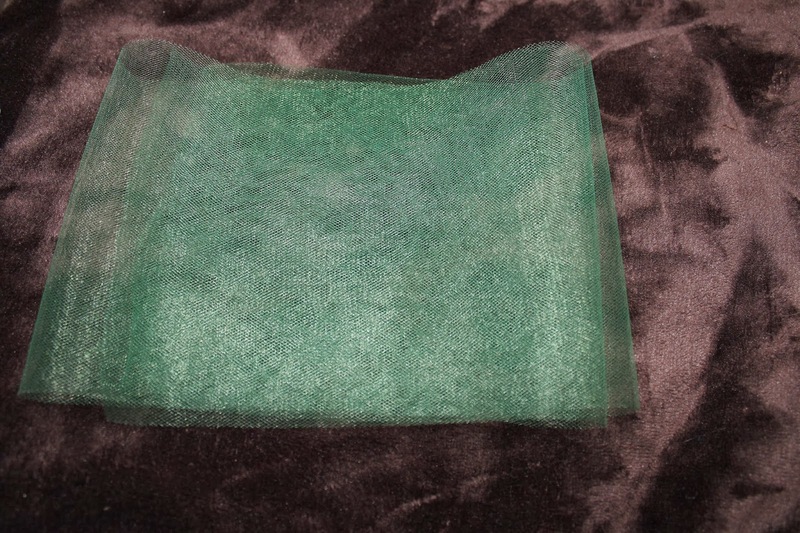 This can be used for decoration, on gifts, tied on a headband, etc. Tomorrow’s project is Decorative Mason Jar Lights!